Trump is a younger full brother to CH Norwester All For One (Ranger), this year's leading Norwich on Dogzonline. 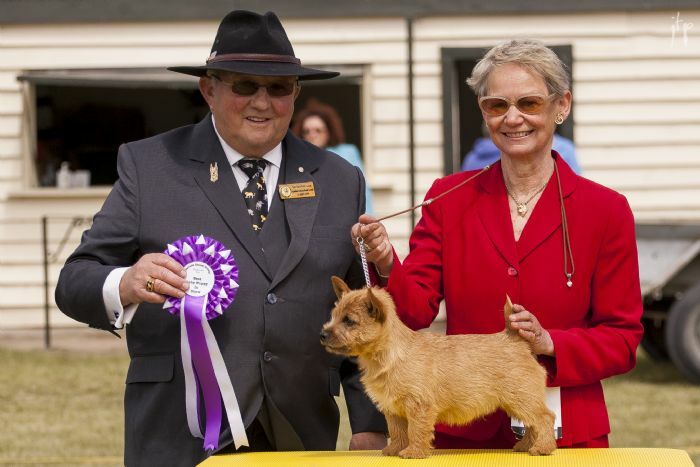 Trump made a fine debut at the Waimate Kennel Society show at the age of 3 and a half months, being reserve dog to big brother Ranger, under Australian judge Narelle Hammond-Robertson. Later that day he was 6th in the all age Puppy Stakes, judge Ken Hammond. The following day Mr Hammond judged him Reserve of Breed to Ranger, out of 8 Norwich present, Baby Puppy of Group, and Baby Puppy in Show.